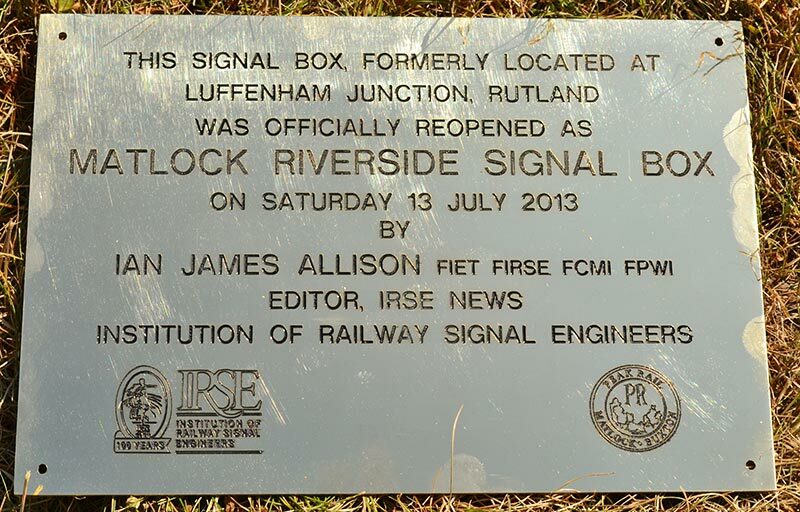 This department is responsible for the maintenance and construction of Peak Rail’s signalling and signalboxes. Presently the railway has four signal boxes, Church Lane (ex Gorsey Bank, Wirksworth), Darley Dale (new build a replica LMS ground level cabin) which controls the adjacent level crossing as well as Matlock Riverside (ex Luffenham Junction) used for services that terminate before Matlock, and Rowsley (ex Bamford) which will control the locomotive shed and yard exit once it has been commissioned. The signalboxes use a mixture of recovered mechanical signalling equipment from locations on the eastern and midland regions. Darley Dale is equipped with a 7 lever knee type frame whilst Church Lane has a 15 lever Liverpool and Manchester signalling company frame. Matlock Riverside has a 30 lever 4 ½ standard frame and Rowsley has the only working example of a wire driven turnover frame (partly ex Barrow Hill South Junction) with drive equipment from Sandy ex BR. There is a variety of traditional upper and lower quadrant midland signalling upon the railway together with two token and staff key controlled single line sections and an absolute block passing loop section at Darley Dale.